In accordance with previous promises, the French proclaimed the creation of an independent Syrian republic in Sept., 1941, and an independent Lebanese republic in Nov., 1941. In 1943, Shukri al-Kuwatli was elected president of Syria, and on Jan. 1, 1944, the country achieved complete independence. However, the continued presence of French troops in Syria caused increasing friction and bloodshed and strained Anglo-French relations. It was not until Apr., 1946, that all foreign troops were withdrawn from the country. In 1945, Syria had become a charter member of the United Nations. 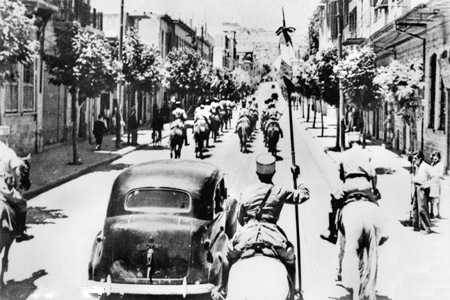 The fall of Damascus to the Allies, late June 1941. A car carrying the Free French commanders, General Georges Catroux and General Paul Louis Le Gentilhomme, enters the city. They are escorted by French Gardes Tcherkess (Circassian cavalry). A member of the Arab League, Syria joined other Arab states in the unsuccessful war (1948–49) against Israel (see Arab-Israeli Wars). The defeat at the hands of Israel, coupled with serious internal divisions resulting from disagreements over whether to unite with Iraq (and thus form a “Greater Syria”), undermined confidence in parliamentary government and led to three coups in 1949. Lt. Col. Adib al-Shishakli led the third coup (Dec., 1949), and he governed the country until 1954. A new constitution providing for parliamentary government was promulgated in 1950, but it was suspended in late 1951. From then until 1954, al-Shishakli ruled as a virtual dictator. In 1953 he issued a new constitution establishing a presidential form of government and was elected president. Opposition to al-Shishakli’s one-man rule led to his downfall in 1954 and the reinstitution of the 1950 constitution. 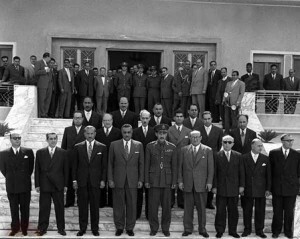 After elections in late 1954 a coalition government uniting the People’s, National, and Ba’ath parties and headed by Sabri al-Asali of the National party was established; Shukri al-Kuwatli was again elected president. In the following years the Ba’ath party, which combined Arab nationalism with a socialist program, emerged as the most influential political party in Syria. At the same time, in order to offset growing Western influence in the Middle East (exemplified by the creation in 1955 of the Baghdad Pact alliance, later known as the Central Treaty Organization), both Syria and Egypt signed economic and military accords with the USSR. To counterbalance Soviet influence, Syria joined with Egypt to form (Feb., 1958) the United Arab Republic (UAR). By late 1959, Egypt had become dominant in the UAR, which led to growing Syrian opposition to continued union with Egypt. 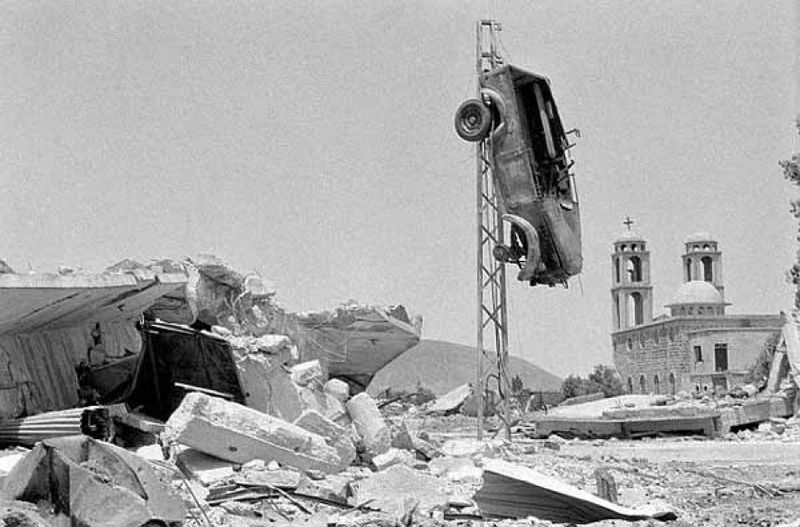 In Sept., 1961, a group of Syrian army officers seized control of Syria, withdrew the country from the UAR, and established the Syrian Arab Republic. Elections for a constituent assembly were held in late 1961; the assembly chose Maruf al-Dawalibi as prime minister and Nazim al-Qudsi as president of the country; both were conservatives and members of the People’s party. 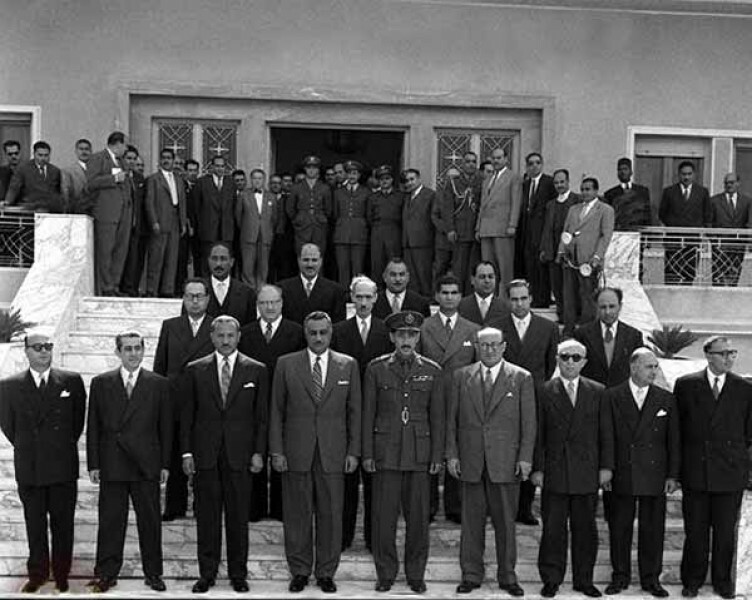 In early 1962 a military coup ended this arrangement, and in late 1962 the 1950 constitution was reinstated.In 1963 another coup brought a joint Ba’ath-military government to power; this regime was headed, at different times, by Salah al-Din al-Bitar, a moderate leader of the Ba’ath party, and by Gen. Amin al-Hafiz. The government nationalized much of the economy and redistributed land to the peasants. At the same time a split between moderate and radical elements in the Ba’ath party was growing. In early 1966 the radicals staged a successful coup and installed Yusseff Zayen as prime minister and Nureddin al-Attassi as president. The new government strengthened Syria’s ties with Egypt and the USSR.Between 1962 and 1966, Syria agitated Israeli interests by attempting to divert headwaters of the Jordan River, by firing on Israeli fishermen on the Sea of Galilee, and by using the Golan Heights to snipe at Israeli settlements. These conflicts contributed to the Arab-Israeli War of June, 1967. During the war Israel captured the Golan Heights (stretching about 12 mi/19 km into Syria northeast of the Sea of Galilee), and it held on to this territory after a cease-fire went into effect. After the war Syria maintained its anti-Israel stance. 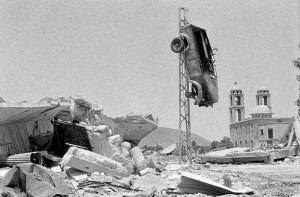 In 1968–69 the Ba’ath party was again torn by factional strife, and it divided into the “progressives” (led by al-Attassi), who favored state control of the economy and close cooperation with the USSR, and the “nationalists” (headed by Gen. Hafez al-Assad), who emphasized the need to defeat Israel, to improve relations with other Arab states, and to lessen Syria’s economic and military dependence on the USSR.